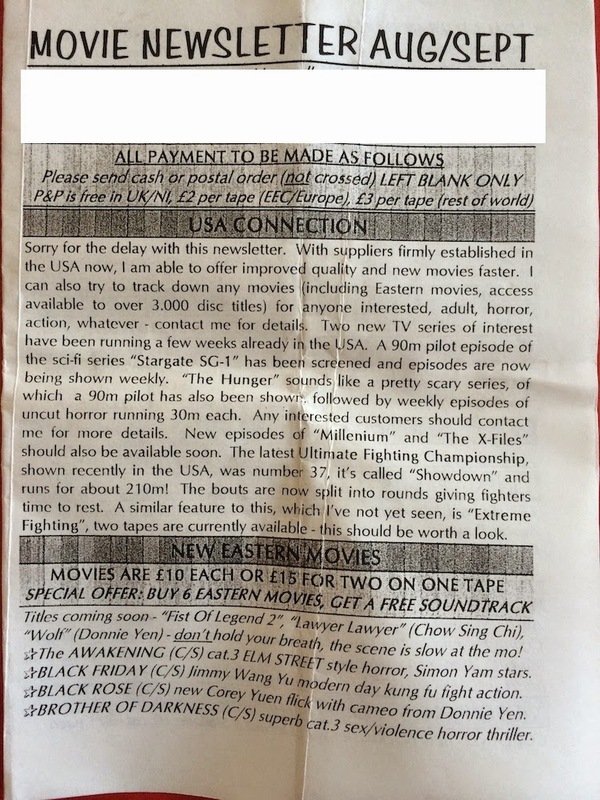 Following on from my Draconian Days post, I found an old newsletter from the guy who I bought my HK movies from. It's from Aug/Sept 1997 and is something of a relic of the time, with the films being on VHS and "Laserdisc prints" mentioned as though they're the latest thing. This was just before the internet became the norm and dvd began to take off. I've included only the first two pages and masked the guy's contact information to spare his modesty. Interesting to note that just after the handover the guy is already mentioning about the "scene being slow at the mo!" and unfortunately it hasn't got any better in the following 17 years. 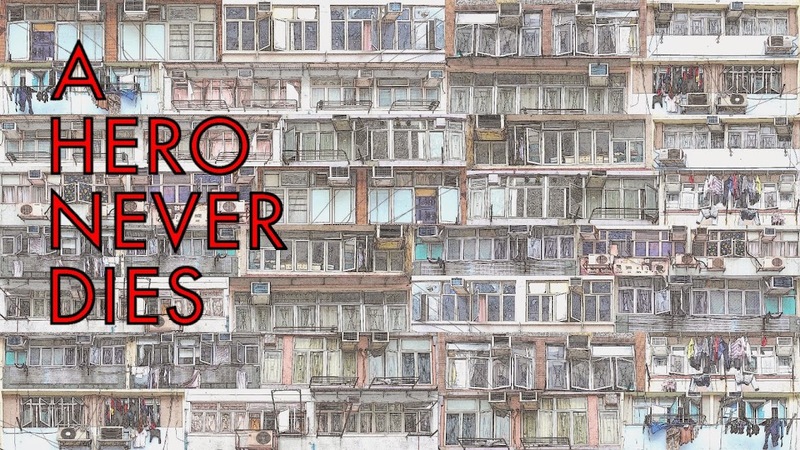 Previous "issues" had much more Hong Kong related info, unfortunately I no longer have any of those. 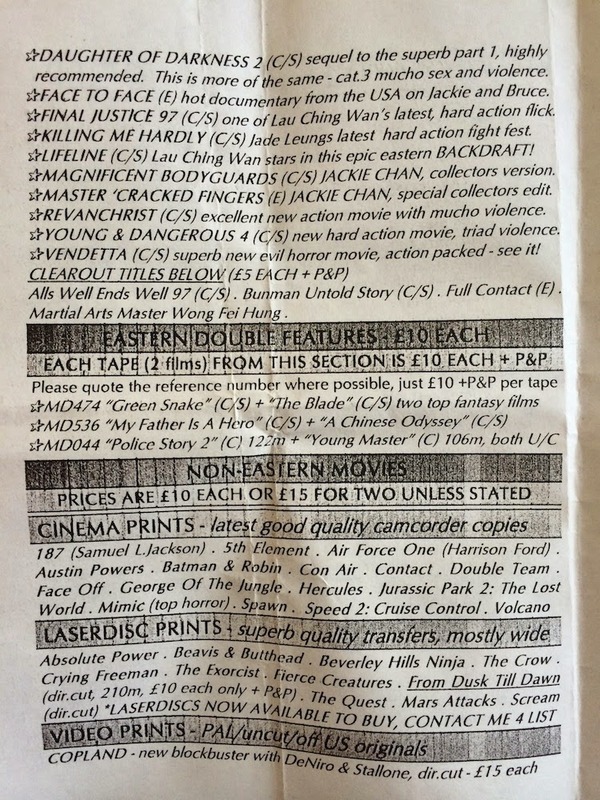 £10 per film for a VHS copy, wow!